ABOVE: VR activites are a cornerstone of Two Bit Circus’s Micro-Amusement Park. Photos courtesy of Two Bit Circus. Location Based Entertainment (LBE) is making a resurgence with new venues branded to film franchises, television networks, and even sports teams. In downtown Los Angeles, the Two Bit Circus Micro-Amusement Park is a unique example of LBE that is both an homage to the great game-based facilities of the late 1990s, yet relevant to today’s patrons. 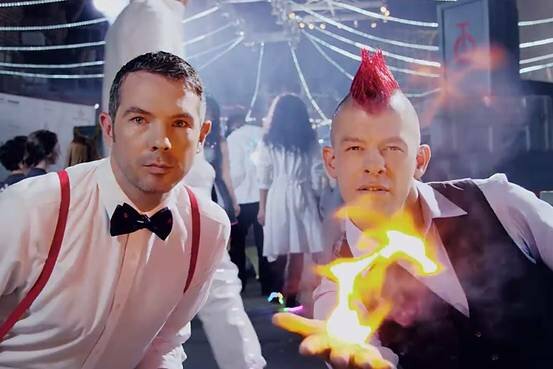 To design and run the Micro-Amusement Park, Bushnell and Gradman recruited specialists in technology, film production, and attraction and hospitality. 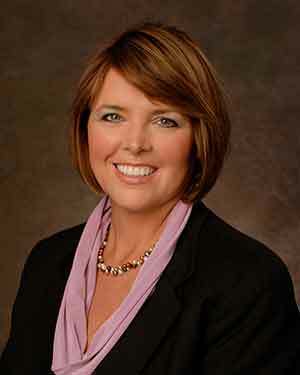 Among them is Kim Schaefer, former CEO of Great Wolf Lodge, who was appointed President of Two Bit Circus in May 2017, where she oversees the company’s LBE business (Two Bit Circus is involved in other endeavors, including a non-profit educational foundation centered around STEAM). The Two Bit Circus Micro-Amusement Park pulls from the great LBE concepts of the 1990s, such as having different themed areas, each with its own unique activities (DisneyQuest); individual yet interlinked game pods (Metreon’s Airtight Garage); and an emphasis on dining and libations as part of the gaming experience (Dave & Busters, GameWorks). 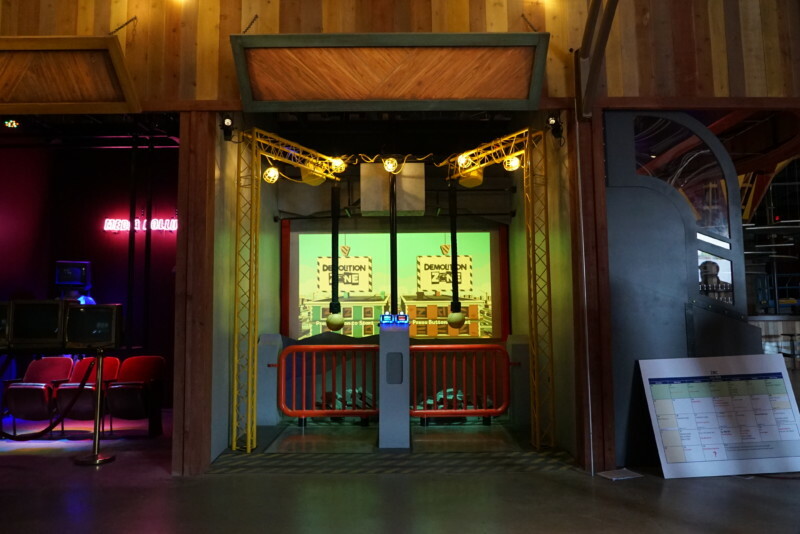 At the same time, the Micro-Amusement Park pulls from modern trends – the arcade salon and maker cultures, escape rooms, bar trivia, and virtual reality. Schaefer points out the importance of keeping the audience engaged. “You can be sitting at the bar and someone will come and touch you on the shoulder, inviting you on a quest.” The 40,000 square feet of space located in the Arts District of Downtown Los Angeles is guided by a number of principles, chief among them creating a sense of discovery and encouraging socialization. These are not only concepts ingrained in the staff, but they exist in the physical framework of the space as well. The Micro-Amusement Park is divided into five main components, with much of the scenic fabrication produced in a design-build process by Weber Group. The Midway provides an eclectic mix of gaming with unique controllers, such as giant track balls, alternating with classic Skee-Ball machines and unique photo experiences. The Midway is also home to Gearmo, a robot bartender, who makes different varieties of drinks. The various ingredients on his wheel included different varieties of alcohol, chocolate syrup, and Valvoline (“Robots do drink Valvoline,” Bushnell points out). 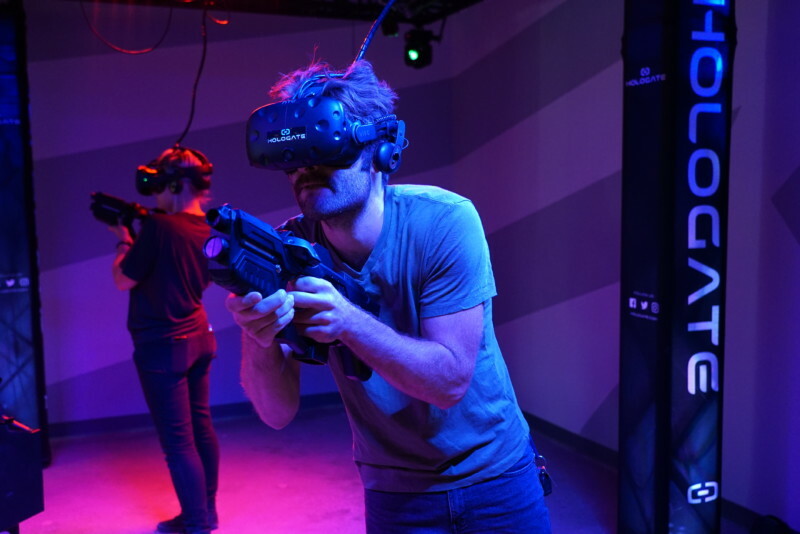 Story Rooms offer three unique experiences – Two Bit Circus’ proprietary starship bridge simulator “Space Squad in Space,” “The Lost City” escape room, and Starbreeze Studios’ multi-person VR experience “The Raft,” for which Two Bit Circus holds the exclusive US license. Each activity is designed for 3-7 players. The Midway includes a selection of experiential games and attractions. 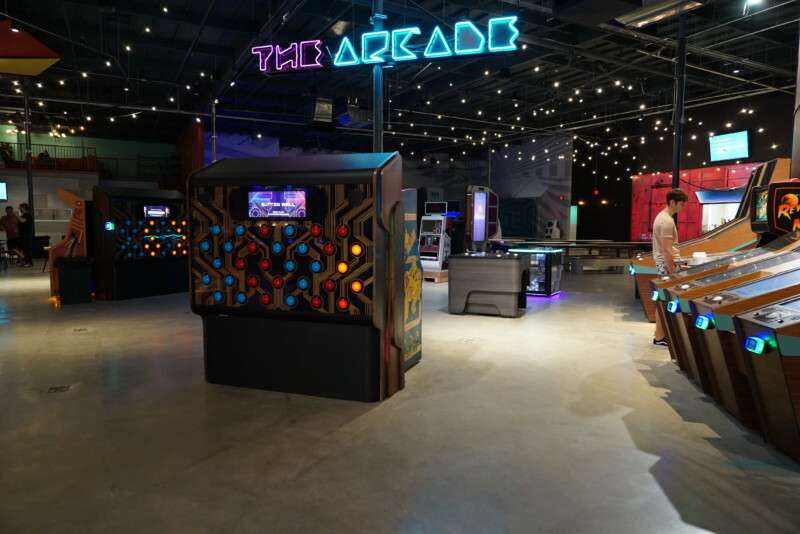 The Arcade area features a selection of vintage and modern games.